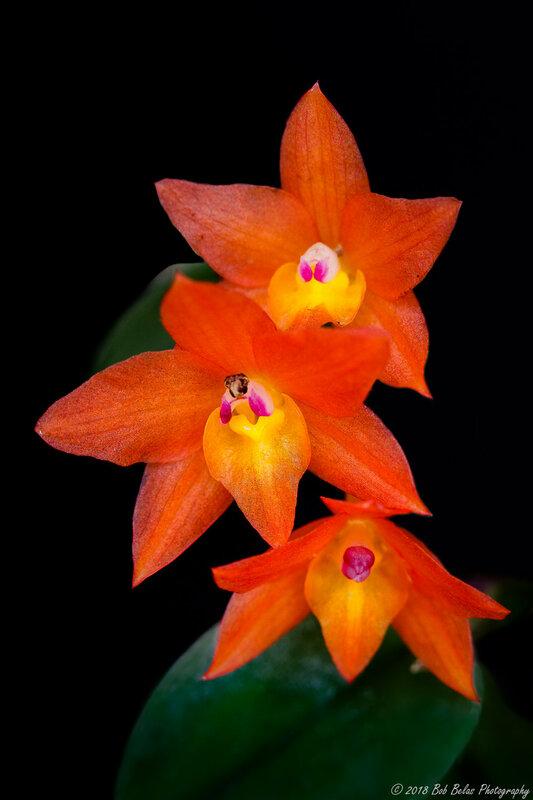 A truly miniature orchid and native of Brazil, Sophronitis cernua produces clusters of 2-4 small (~1.5 cm) orange-yellow flowers. This plant is mounted on a cork slab, given plenty of southern sunlight and water, and yields flowers twice a year. When not blooming, it isn't much to look at, as its leaves, like its flowers, are small and not particularly showy. But when it blooms, well see for yourself. I'll post more of S. cernua in the days to come.